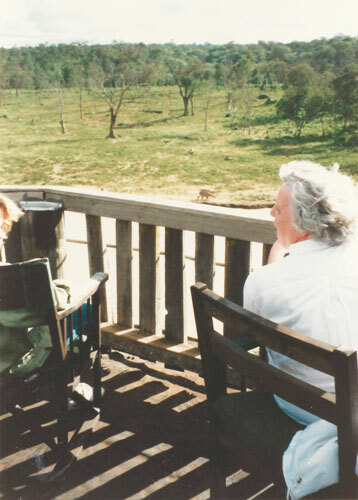 Chapter 11: The Tented Camp. 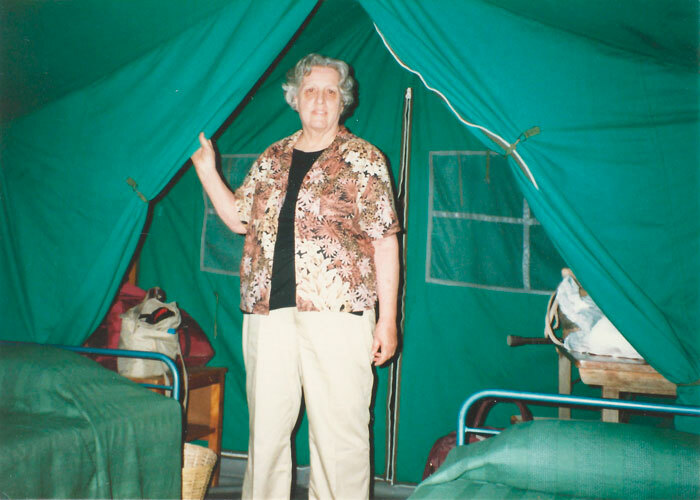 Carolyne inside her tent at the Tented Camp, Arusha, Tanzania. The zipper behind her led to a bathroom open to nature at the top where Carolyne saw a bird and Terry saw an insect 15 inches long! 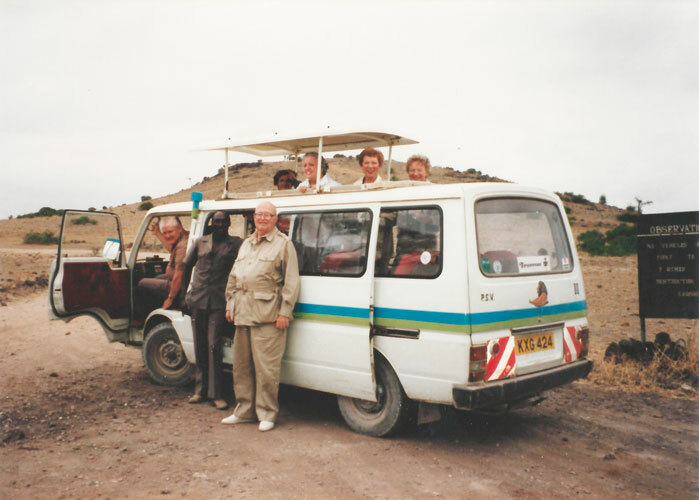 One of the vans used on Carolyne's African safari. Carolyne is at the top, the third from the right. 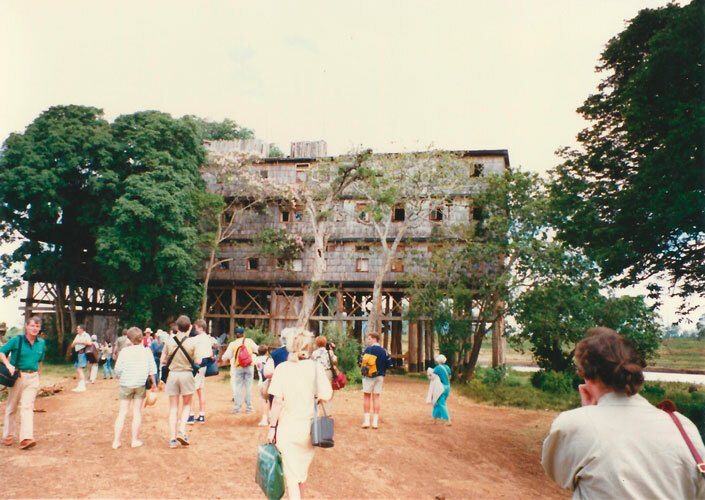 Chapter 11: The Masai Offer. 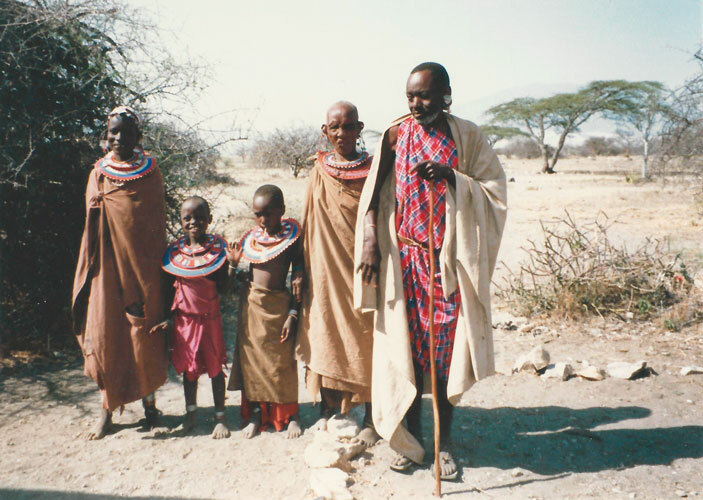 Masai at Olduvai Gorge, Tanzania. 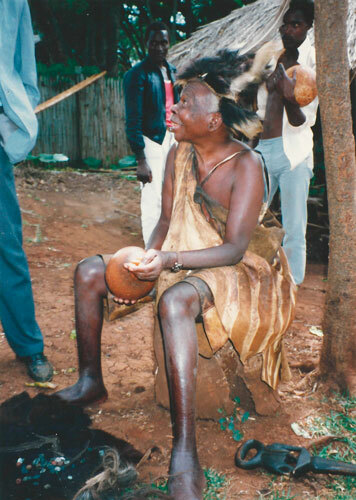 The Kikuyu Witch Doctor who told Carolyne's fortune with some of his fortune telling paraphernalia in front of him in Kenya, Africa. 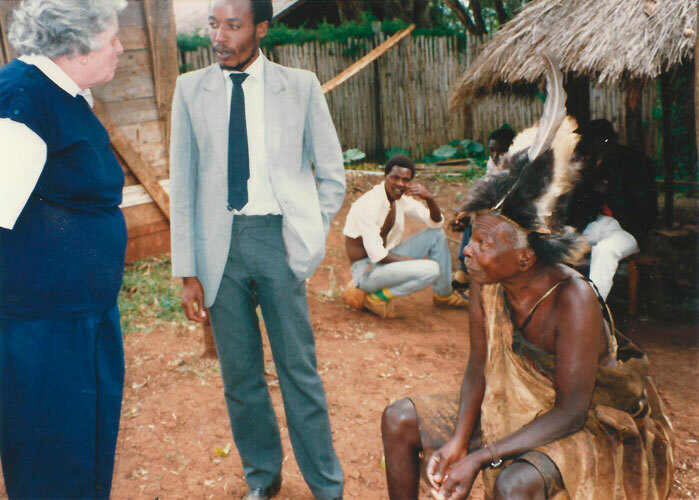 The Kikuyu Witch Doctor (right), is telling Carolyne (left) her fortune while the interpreter (middle) translates in Kenya, Africa. 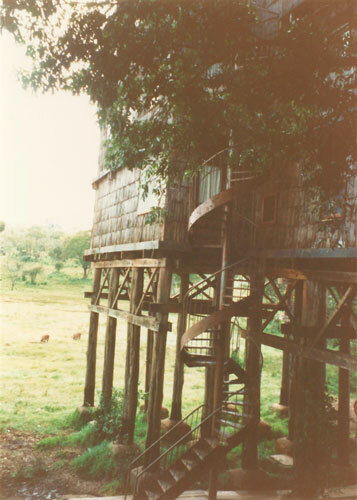 Stairs leading to Treetops in Kenya, Africa. 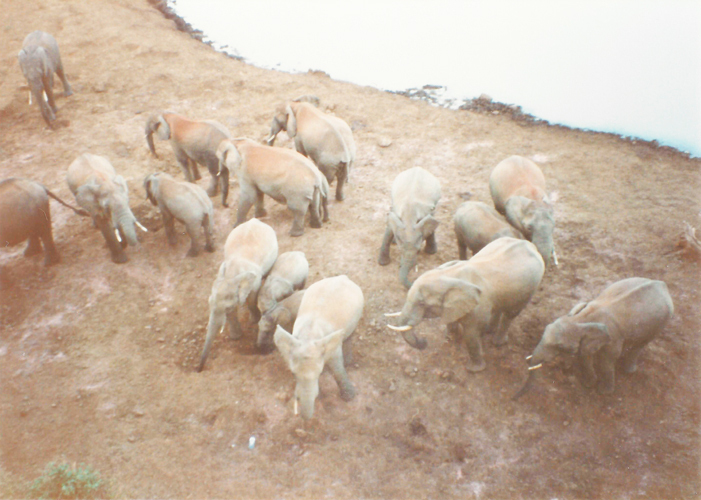 Elephants by the pond and salt lick at Treetops.